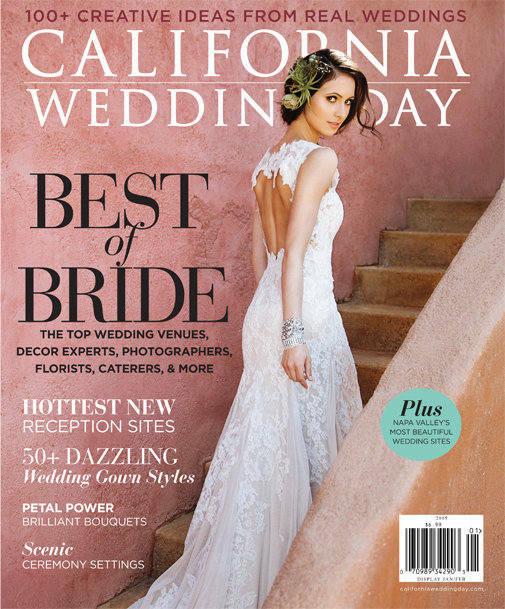 Yucca Valley was our destination for Fall Winter's editorial spread of the bohemian bride. We were awestruck by the unique ceremony setting creative soul Bess Wyrick of Celadon & Celery created for our Fall issue of California Wedding Day magazine. We absolutely adore the whimsy and bright punchy colors in this lovely wedding, not to mention it is the sweetest love story to hit our inbox! Finding the perfect inspiration for your bouquet isn’t always as simple as a walk in the garden. 24 Carrots, the Orange County catering company known for top-notch, trendsetting cuisine, has upped its game with new executive chef Ashley Santo Domingo. Every aspect of Katie and Steve’s Malibu wedding was far from traditional. Sometimes there are weddings that we come across that just leave us breathless--and this is one of them. When Kristi and Brian were planning their wedding, they wanted their special day to be filled with romance, relaxation and personal details. Kathyrn McPhee and Joseph Keating (aka: Kate and Joe) grew up just blocks from each other and when high school began, so did their courtship. High school sweethearts and music buffs Nicole and Billy wanted one thing for their wedding: a carefree and relaxed vibe. Melinda and Brendan’s wedding was anything but traditional. Even how they met was unconventional, given that most straight couples don’t meet in gay bars.